The River Yar holds a mixed head of coarse fish including roach, dace and pike, with brown trout at Alverstone and trout only above Newchurch. 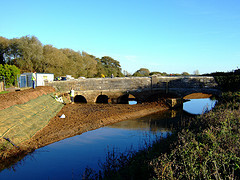 The Isle of Wight Freshwater Angling Association controls most of the water along the river through Alvestone and Sandown to the Old Cement Mills at Brading. There is some excellent carp fishing at Gunnville Pond, Carisbrooke (which is for members only), and carp, tench, roach, perch and bream at Somerton Reservoirs, Cowes. Day tickets are available for the Cement Mills Pond at Newport which holds carp, tench and rudd. There is little trout fishing on the island. A few private waters are stocked, and one or two streams hold some wild brown trout, but they are mostly of fingerling size. Visiting anglers will be well advised to visit Scott’s Fishing Tackle shop in Newport, where up-to-date information on day tickets and fish stocking is always available. Boat trips can be arranged either through this shop or on the quayside at Yarmouth. Local charter boats are usually heavily booked, so to avoid disappointment it pays to book a place on the boat in advance. For fishing either the Solent or the south west side of the island, ports such as Lymington and Keyhaven provide ample charter boat facilities. Again, advance bookings are advisable. Local shops such as Smith’s Sports Shop in Lymington, Sea Angler’s Supplies at Southampton, Hales in Christchurch, and Avon Sales in New Milton can usually arrange boat trips or provide telephone numbers of qualified charter boat skippers. 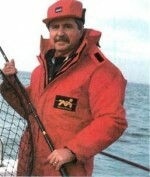 Sea marks off the Isle of Wight provide reasonable fishing on a year-round basis. 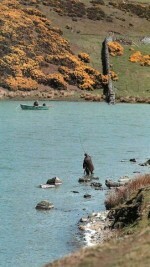 There is plenty of good coarse fishing on the mainland and also some on the island itself. 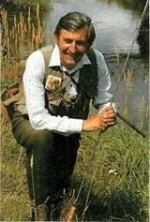 All anglers are well catered for, irrespective of which style of angling they prefer. Big fish, small fish, the area has something for everyone.